For nearly two decades, Krannert Center has welcomed this illustrious company to its Midwest home for a week of high-impact engagement work and stunning performances of its heralded repertoire. 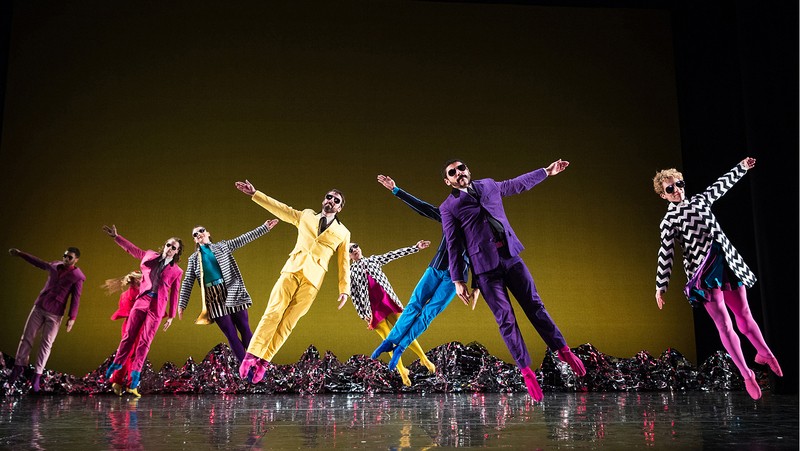 This season, Mark Morris pays tribute to the iconic 1967 Beatles album, Sgt. Pepper’s Lonely Hearts Club Band. Pepperland features an original score by composer Ethan Iverson, interspersing arrangements of “Sgt. Pepper’s Lonely Hearts Club Band,” “With a Little Help From My Friends,” “A Day in the Life,” “When I’m Sixty-Four,” “Within You Without You,” and “Penny Lane” with six Pepper-inspired original pieces written with Morris’ extraordinary musical knowledge and insights in mind. A live chamber music ensemble of voice, theremin, soprano sax, trombone, piano, organ, harpsichord, and percussion teases out and elaborates on Sgt. Pepper’s non-rock and roll influences. This joyously creative new work—which kicked off Liverpool’s summer- long Sgt. Pepper at 50 Festival in 2017 and for which Krannert Center is a commissioning partner—resounds with the ingenuity, musicality, wit, and humanity for which the company is known. Pepperland was named a top show of the year in the UK by both The Times and The Guardian—get ready to add it to your own “favorites” list! Come explore the Music and Performing Arts Library’s extensive collections in the lobby of Krannert Center! The Pop-up Library will offer items from its collection related to performances on March 8, 2019, for you to browse and borrow.